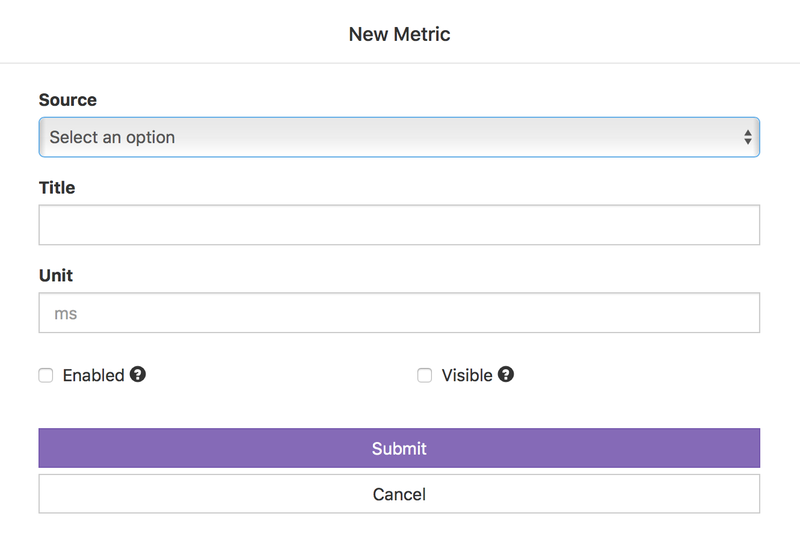 Go to your status page’s dashboard and select "Metrics" from the top menu. 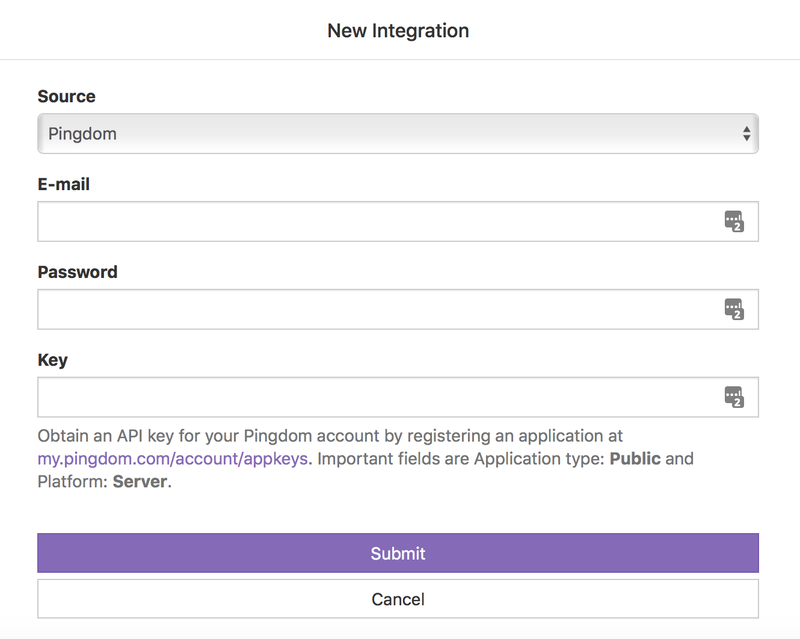 You will be redirected to create a new Pingdom integration, enter the required fields and press Submit. Now you can finish configuring the metric, select the Pingdom check your want to use for the metric, type and unit. Check “Enabled”, and “Visible” to make the metric visible in your status page.